Chiang Mai, located in northern Thailand is a beautiful city that offers Asian history in its Old City as well as a modern, cosmopolitan lifestyle to those who retire here.. It is a city alive with festivals, art and culture, nightlife and exquisite ethnic cuisine. The scenery surrounding Chiang Mai includes the highest mountains in Thailand as well as the Ping river that runs along the city. There are approximately 300 Buddhist temples in and around the City, some dating back to the 1300s that provide a glimpse into the vibrant history of the region. 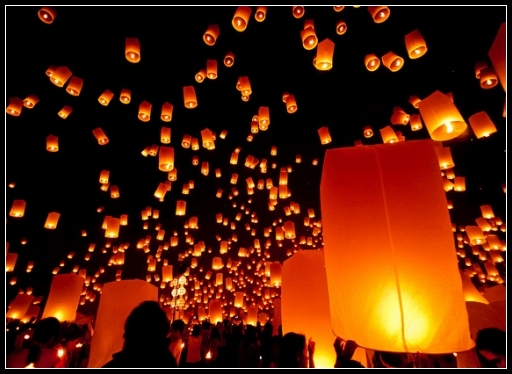 The Chiang Mai festivals include the Flower Festival, Thai New Year and Yi Peng, during which the Goddess of Water is worshipped and paper sky lanterns are sent aloft. For those seeking an active retirement recreation in the Chiang Mai area includes whitewater rafting, whitewater kayaking, bamboo rafting, mountain biking, hiking, golfing, tennis and more. There are additional adventures in the area including ballooning and elephant riding. The low cost of living makes this City and ideal retirement location. A very comfortable retirement for two is available for approximately $1200-$1500/month. Spending $2000+ per month can provide an upscale retirement lifestyle. Medical care is another reason to consider Chiang Mai as a retirement destination. In fact, many who travel here consider the City a medical destination. Costs are comparatively cheap and the medical care is very good. Population: approximately 170,000 in the City, additional 500,000 in surrounding urban area and 1.5 million in the Chiang Mai province. Income Tax: A resident is defined as anyone living in Thailand for over 180 days/year. Resident taxes apply to worldwide income, non-resident for income earned only in Thailand. The tax rate on income ranges from 10% to 37%. some deductions and allowances are available. Property Tax: minimal and in many cases only collected after several years.